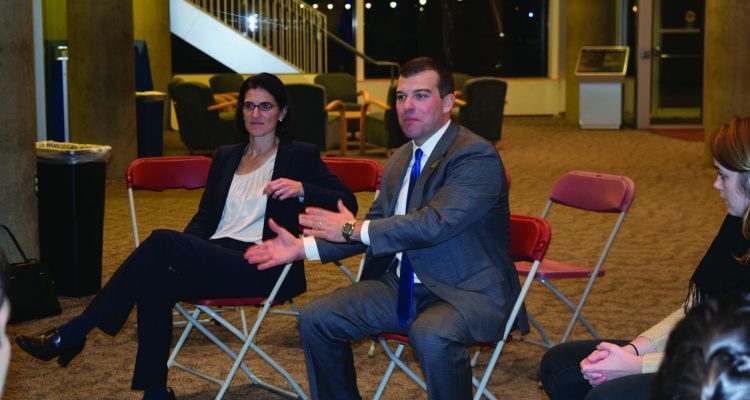 Fairfield students had the opportunity to speak with their local state representatives Steve Stafstrom ‘05 and Cristin McCarthy Vahey on Tuesday, Nov. 28. College Democrats invited the representatives to speak to students in the Lower Level of the Barone Campus Center at 7:30 p.m.
Stafstrom, who was Vice President of College Democrats when he went to Fairfield, is a Democratic member of the Connecticut House of Representatives, representing the 129th District. The representatives began by speaking about themselves and then about current issues. After, they opened the floor to questions from the 15 or so students who were present at the event. 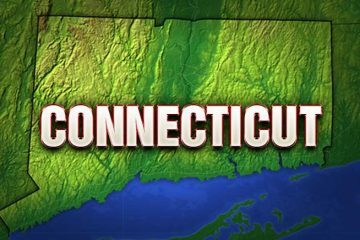 McCarthy Vahey, who is the state representative for Fairfield University, explained that a lot of people are currently down on Connecticut, but it is important to be positive in spite of this. The representatives also touched upon the importance of calling congress people and representatives when issues are important to you. Stafstrom commented on why he wanted to speak with the student body. “When I graduated from here in 2005, there were a lot of folks in public office in politics at the time who made sure to share their story with us on how they got involved and how people can get more active and engaged in their community so I thought it was important to come and share that story and hear what’s on folks’ minds here,” Stafstrom said. McCarthy Vahey shared her reasons for wanting to come. Both representatives hoped that students got the fact that their voices matter out of the event. Stafstrom expressed a similar viewpoint. “I hope they got out of this that their voice does matter, that it doesn’t take that many people being engaged, being involved to affect policy change especially on the local and state level and that their voice does matter in the community and that they should speak up on issues of concern,” Stafstrom commented. “I hope that they feel that they’re important members of this community and that they should reach out on issues of concern,” he continued. Lurie emphasized the importance of events like this one. 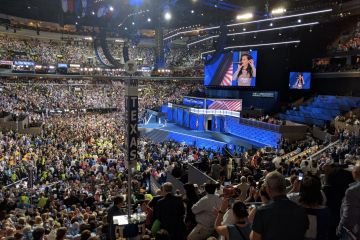 “I think a lot of times, students don’t necessarily realize that they have representatives, that they are actually being represented in their local and state legislatures so I think it’s really important that we give these people a face, that we show the students that they are in fact being represented and that they need to make their voices heard if they actually want stuff to happen,” he said.